Watch as Orlando Pirates coach Milutin ‘Micho’ Sredojevic and Kaizer Chiefs coach Ernst Middendorp speak to the media following the 1-1 draw in the Soweto derby at the FNB Stadium on Saturday afternoon. Chiefs came into the fixture looking to end a record 11-match winless streak against their arch rival. After a tight first half the Amakhosi looked to be on their way to victory when Daniel Cardoso fired them into the lead from the penalty spot after Asavela Mbekile brought down Khama Billiat in the 53rd minute. Pirates, however, went on the attack and after Chiefs failed to kill the game off from some promising counter-attacks, Thembinkhosi Lorch grabbed the equaliser with 10 minutes to play. The winger latched onto a perfect through ball and rounded debutant Daniel Akpeyi to tap home into an empty net. 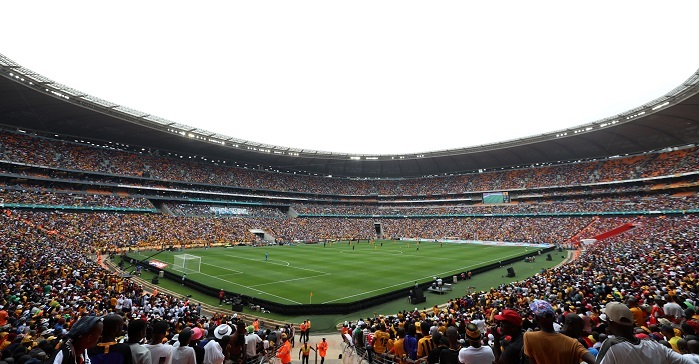 Neither side could find a way to goal in the remainder of the match as the 166th Soweto derby ended in a 1-1 draw.